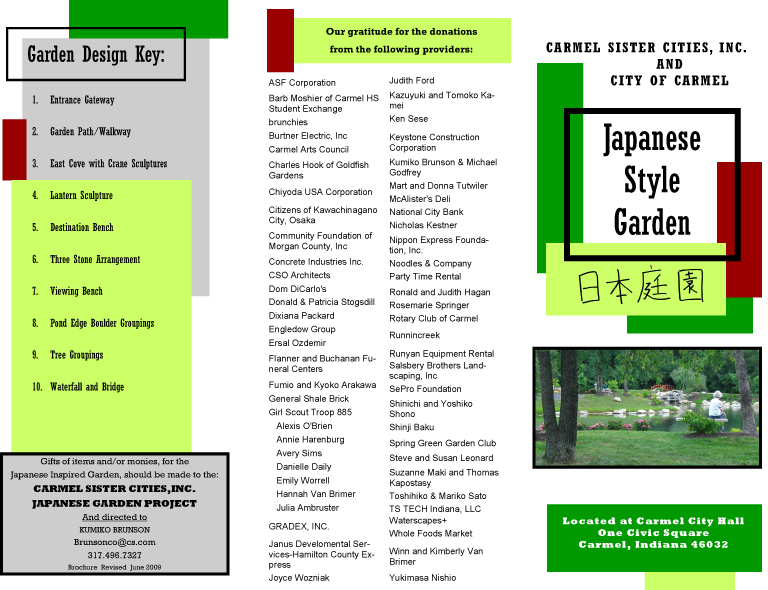 The Japanese Style Garden is a serene park located just south of Carmel City Hall that was inspired by representatives from Carmel’s Sister City, Kawachinagano, Osaka, Japan. The garden is a project undertaken by the Carmel Sister Cities, Inc. with the volunteers donating much time, labor, money and in kind donations. 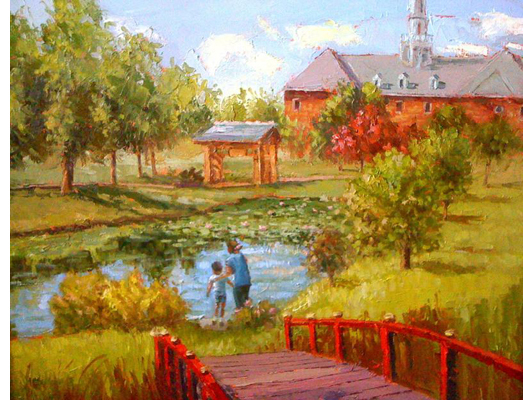 It is a legacy for the community for many years to come and it is a sincere desire of all those who labored to see many citizens enjoy its beauty and tranquility. 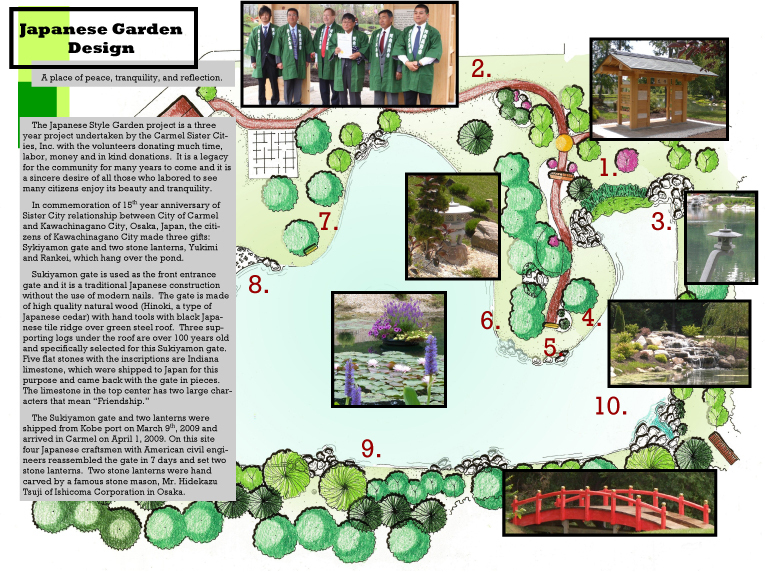 As a gift for their Sister City, the City of Carmel invited artist Julie Houck of Carmel, Indiana to paint the Japanese Style Garden. This painting will be dedicated and sent in appreciation to the citizens of Kawachinagano, Osaka, Japan.